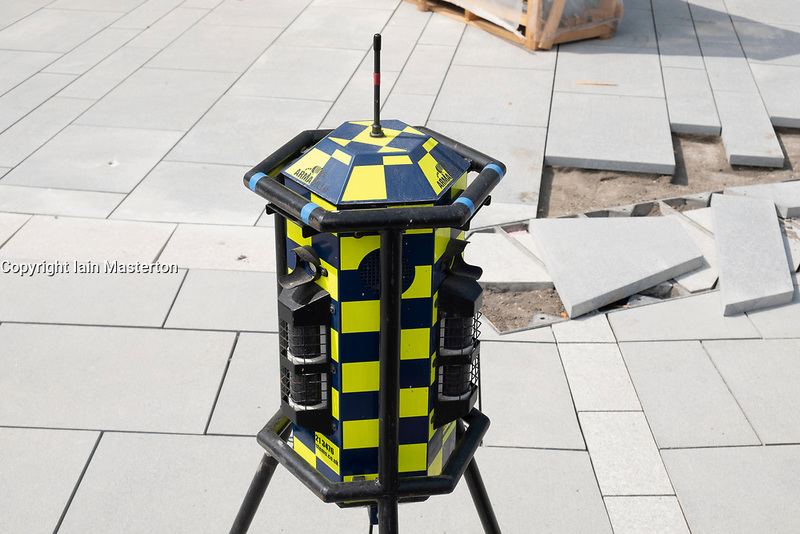 Armadillo perimeter intruder detection system at a construction site in the UK. The system is an armoured battery powered intruder alarm system. Armadillo perimeter intruder detection system at a construction site in the UK. The system is an armoured battery powered intruder / theft alarm system.